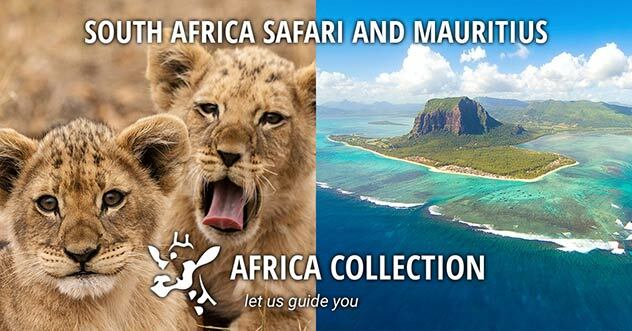 South Africa safari and Mauritius is the perfect and most popular Bush and Beach holiday combination. 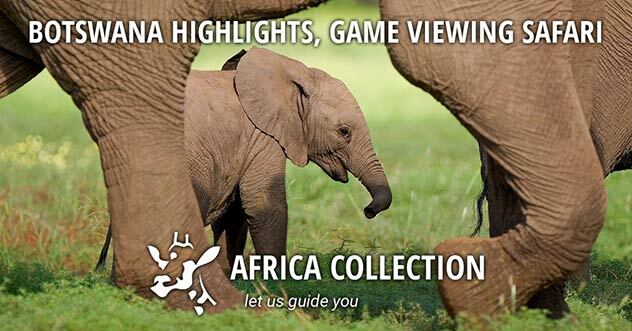 Enjoy the exhilaration and excitement of game viewing in the malaria-free Welgevonden Game Reserve, a mountain bushveld reserve with a climate that makes it worth a visit all year round. Welgevonden Game Reserve is certainly one of the finest places to watch wildlife, sense wilderness and touch the spirit of true Africa, with antelope from the largest eland to the diminutive duiker, and cheetah, lion and leopard always close by. Then fly to the Indian Ocean island of Mauritius to relax on a tropical beach. A perfect honeymoon perhaps. On arrival into OR Tambo (Johannesburg) International Airport you will be met & transferred by road (approx. 2 hours) to the Welgevonden Game Reserve in Limpopo Province. Welgevonden Reserve is a declared heritage site of 37 000 hectares adjoining the Marakele National Park in the breathtaking Waterberg Biosphere. 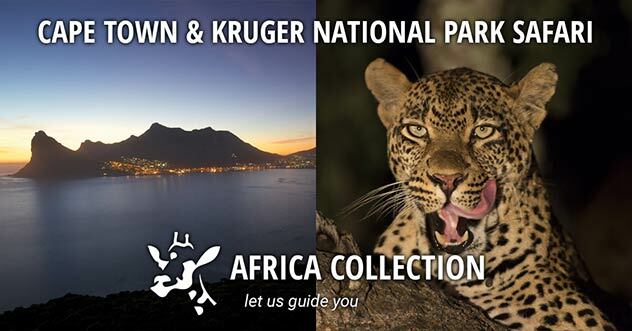 A true bushveld environment and home to Africa’s most sought after game species, with one of the largest collections of white rhino. 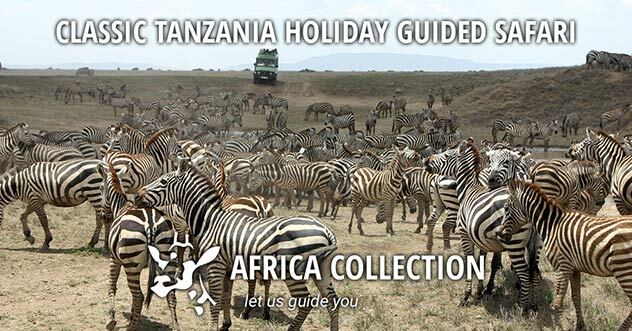 From your lodge, where you will stay for the next 3 nights, join a guided safari or specialised bush walk with an experienced ranger to view elephant, lion, leopard, buffalo, giraffe, zebra, eland and many other antelope species with the opportunity to spot the aardvark, brown hyena or the rarely seen honey badger and bush pig. Named after the great Limpopo River that flows along its northern border, Limpopo Province is the northernmost province in South Africa and is rich in wildlife, spectacular scenery and a wealth of historical and cultural treasures. 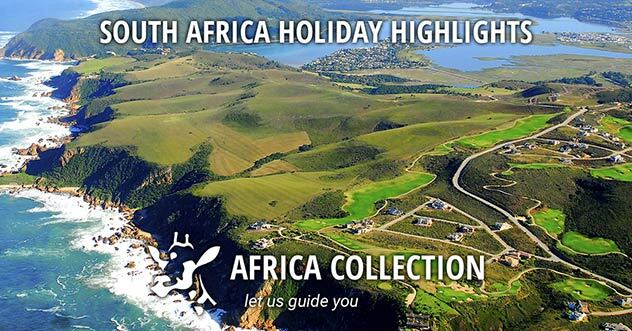 This un-crowded and natural province boasts wildlife safaris and nature trails – untamed Africa at its finest. 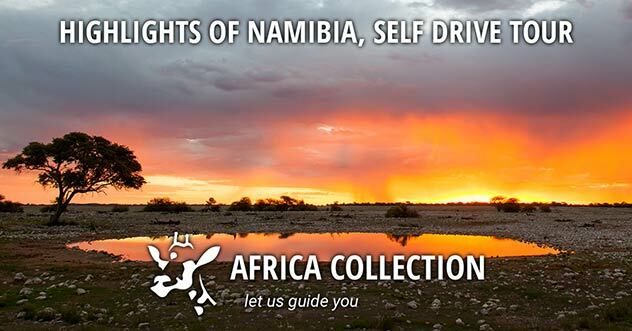 This is also the land of wide-open bushveld, big skys, the ever-present thorn tree and the mystical baobab tree. 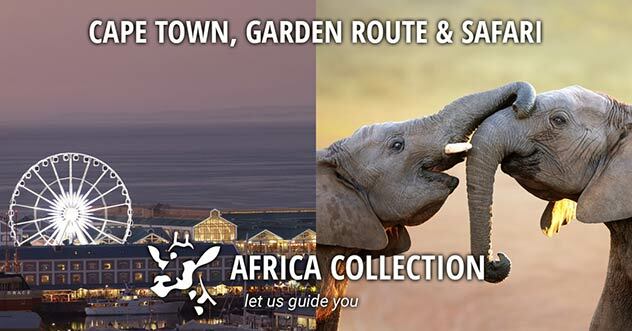 After your safari spend an overnight in Johannesburg. Uniquely positioned with sweeping views of the plains and bush below, Nedile Lodge is in the malaria-free Welgevonden Private Game Reserve, only 3 hours drive north of Pretoria. Positioned with sweeping views of the plains and bush below, Nedile Lodge is in the malaria-free Welgevonden Private Game Reserve, only 3 hours drive north of Pretoria. Mhondoro Game Lodge in the Welgevonden Game Reserve, is positioned at the foot of the Waterberg Mountains and known for its attractive terrain, deep gorges and plateaus. Mhondoro Game Lodge in the Welgevonden Game Reserve, is at the foot of the Waterberg Mountains and known for its attractive terrain, deep gorges and plateaus. Mhondoro Game Lodge is located in the malaria-free Welgevonden Game Reserve, an area positioned at the foot of the Waterberg Mountains and renowned for its attractive terrain, deep gorges and plateaus. A blend between African chic and contemporary, the property’s natural fibres and colours create elegant and welcoming spaces. 2 deluxe suites, a honeymoon suite, 1 two-bedroom family suite and 1 two-bedroom executive suite are beautifully appointed and boast luxurious comforts and modern conveniences. In addition there is a three-bedroom family villa. Between exciting day and night game drives or walks, relax in the atmospheric main lodge. Savour delicious meals in the dining room, the deck or the boma, and sip sundowners around the fire. In the heat of the day, doze beside the pool – keeping an eye out for the game drawn to the waterhole. Mhondoro’s unique observation hide overlooks an active waterhole. 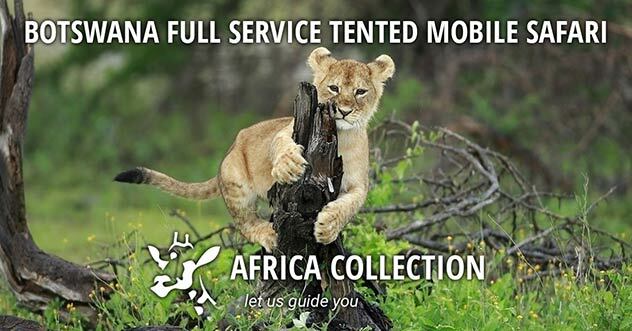 Reached through a 60 m underground tunnel, guests can view animals while safely enjoying an up-close safari experience. Veranda Paul Et Virginie Hotel & Spa is a relaxed adult-only, All Inclusive hotel in the fishing village of Grand Gaube on the north coast of Mauritius. With 81 rooms & multiple facilities. Veranda Paul Et Virginie is a relaxed adult-only, all Inclusive hotel in the fishing village of Grand Gaube on the north coast of Mauritius. With 81 rooms & facilities. A relaxed adult-only All Inclusive hotel in the fishing village of Grand Gaube on the north coast of Mauritius, with only 81 rooms and good facilities. Each room opens onto a balcony or terrace, well appointed in fresh and calming decor. The small beach is dotted with thatched sunshades and the boathouse offers non-motorised watersports free of charge. Also available is water-skiing and a PADI dive centre. The Seven Colours Wellness Spa offers massage and body treatments. A free shuttle service twice a week is offered to Grand Baie, and there is also access to other hotels in the same group (subject to availability, inter-hotel transfers and any chargeable extras). Each air-conditioned room opens onto a balcony or terrace, is well appointed and decorated in fresh, bright colours. The bathrooms have a shower only. There are 4 pairs of interconnecting rooms. The air-conditioned rooms have - King size beds (Privilege & Superior rooms) & Queen size beds (Comfort rooms); Tea/Coffee facilities (first use of the tray free of charge); Minibar; Flatscreen TV; Ceiling fan; Safe; Hairdryer; Free WiFi. In Privilege rooms additionally - One full day catamaran cruise per stay (minimum 7 nights) - including open bar and lunch on board; A la carte dinner on a daily basis (without supplement and excluding seafood) at St Géran Restaurant (unless the restaurant is booked for a private event or exceptionally closed). There is a choice of two restaurants and a bar. Isle de France, the main restaurant serves a variety of Mauritian and International cuisine. The beach bar and restaurant Le Saint Géran perches on the end of a jetty, offering fresh seafood and signature dishes, in a spectacular location. Poudre d’Or, with view of the lagoon is the perfect place for a mid-afternoon coffee break, cocktail or an after-dinner liqueur. For a late afternoon pick-me-up, opt for savoury snacks or crêpes. Come evening, a laid-back island ambiance settles in with live music and shows. Our Opinion - Paul et Virginie is a relaxed and popular property that offers great value for money - we think it is one of the best value standard 4-star hotels on the island. Set amid a 25-acre tropical garden in the north-west of the island, the resort stretches along a beach covering more than a kilometre. It is entirely sheltered from the winds all year. Set amid a tropical garden in the north-west of the island, the resort stretches along a beach covering more than a kilometre. It is entirely sheltered from the winds all year. Overlooking a lagoon in the south-west of the island, the superb architecture of LUX* Le Morne combined with contemporary design and modern amenities, results in a relaxing experience. Overlooking a lagoon in the south-west of the island, the architecture of LUX* Le Morne, it's contemporary design and modern amenities, results in a relaxing experience. Embraced by 20 acres of lush sub-tropical gardens, Oberoi is an all-suite hotel on the shores of Turtle Bay on the west coast of the island, with access to over 600 meters of private beach. Embraced by 20 acres of lush sub-tropical gardens, Oberoi is an all-suite hotel on the shores of the west coast of the island, with access to over 600 meters of private beach. Embraced by 20 acres of lush sub-tropical gardens, Oberoi is an all-suite hotel on the shores of Turtle Bay on the west coast of the island, a natural marine park with a vibrant coral reef, with access to six hundred metres of white sand beaches, which are blessed with magnificent sunsets. The resort offers a range of sport and recreation facilities such as wind surfing, water skiing, diving and sailing. The stunning Spa offers state of the art facilities including a beauty parlour and gym. The thatched Villas each have their own garden and dining gazebo, many of them with a private swimming pool and sea views, ideal for those seeking privacy. You can opt for a villa with a private pool, for uninterrupted luxury. The villas with private gardens offer a wonderful setting for in-room dining, while the luxury pavilions have breathtaking ocean views. All accommodation features rustic oak and natural cane furniture, wall-to-wall windows and marble bathrooms which look out onto private, walled gardens. The Restaurant, one of three luxury dining restaurants at The Oberoi, features a roof of palm-thatched timbers and panoramic views across the Indian Ocean. Also enjoy the pool bar, the Wine and Cigar Lounge and the more casual On The Rocks restaurant or the French colonial battery Gunpowder Room (open twice a week). Oberoi also offers some some unique dining experiences - Enjoy a romantic candlelit dinner on the white sands of Turtle Bay; Or start the day with a Champagne breakfast on the beach; The Gunpowder Room hosts an intimate, ambient dining experiences for couples. Our Opinion - One of the really refined hotels in Mauritius, with a lovely private site, and very private villas - ideal for those looking for a relatively quite holiday, in sophisticate surroundings. A great combination for families, honeymooners, or anyone looking for a wonderful holiday. 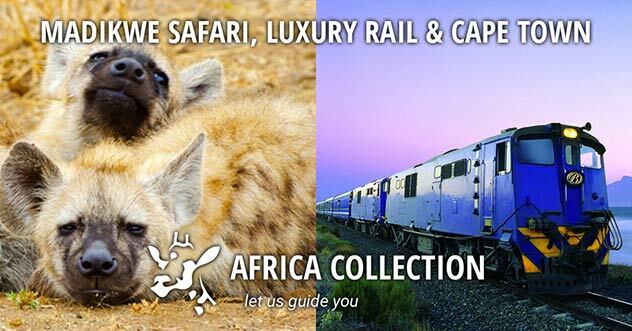 There are many options for the safari in South Africa - Madikwe Game Reserve, Kruger National Park, Nambiti Game Reserve, and many others. Mauritius has some great hotels & resorts, plenty of activities in and around the hotels, great fishing, good scuba diving, and some wonderful golf courses. 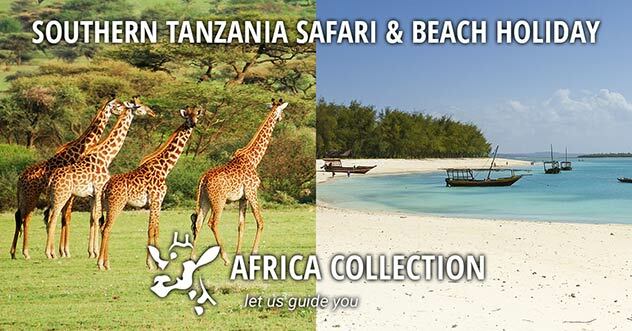 This is our best value for money safari & beach combo. "We have recommended your company to so many people even in South Africa, we think we should be on commission! You are the best tour operator we have ever used." "First thing to say is that we had the most fantastic trip and are already planning to go back. The lodges you suggested and the order was spot on. We had a brilliant time and think what you suggested and organised hit the spot for us both so thank you for that."